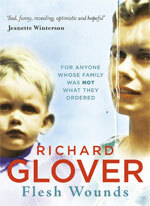 Richard Glover is the author of three stage shows and many books, including Desperate Husbands and George Clooney’s Haircut and Other Cries For Help. His weekly column has appeared in the Sydney Morning Herald since 1985. 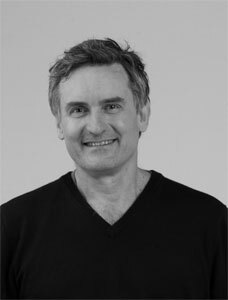 He presents the hugely popular Drive show on ABC 702 in Sydney. I’ve just finished Geraldine Brook’s The Secret Chord. It’s the Bible meets Wolf Hall meets Game of Thrones. Just reading it brings a charge of adrenalin, as well as making you feel part as if you spent time in the Bronze Age middle east. I did history honours at the University of Sydney and spent the best part of a year in the Mitchell Reading Room at the State Library of NSW. The glorious surroundings helped me feel like a scholar even during those moments when my temperament and intelligence looked like failing me. What inspired you to write Flesh Wounds? The book is very fierce on the idea that you can be a good parent, even if you haven’t had good parenting yourself. We talk as if nearly everyone had a mother and father who loved them, but I think there’s a very large minority who didn’t get the love they would want to give a child of their own. And yet we are not all mad and dysfunctional. We find the love elsewhere and go on to live healthy lives. And we also go on to be good parents. It’s all part of the amazing resilience of human beings. In this book you do meet some bad people, but also some very good people. It is sometimes possible in life to allow the good people to have the loudest voice – and that’s really what I wanted to capture in the book. Want to know more about Flesh Wounds?